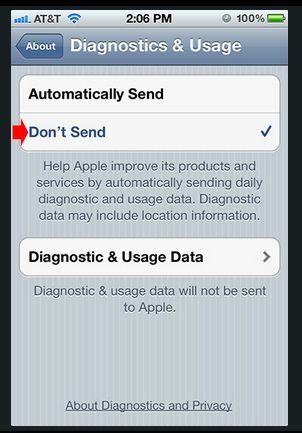 How to block Carrier IQ on your iPhone - Select "Don't Send"
The Carrier IQ stuff is real disturbing iPhone users world wide. While Apple may take time to have a say on it, some smart guys have found ways to at least block it from the iPhone. Follow the instructions given in a slide show HERE to could be one solution to block the Carrier IQ presence in your iPhone.